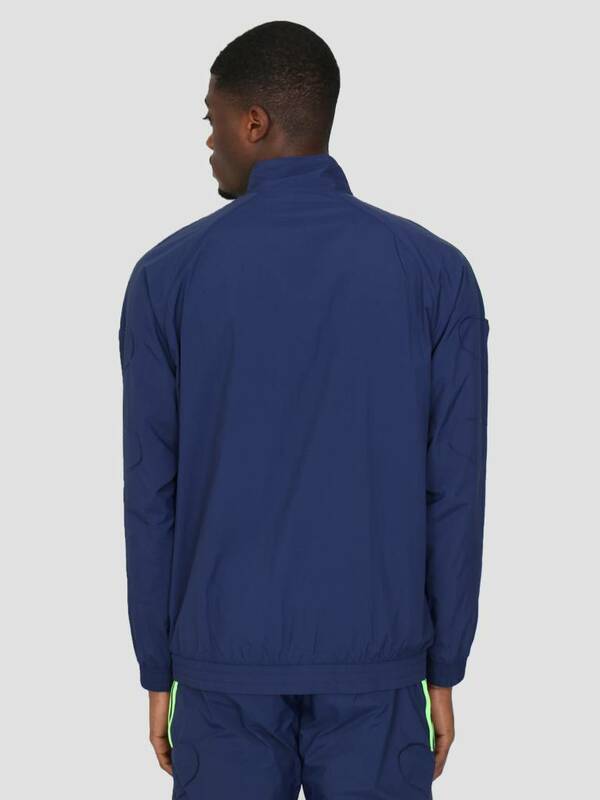 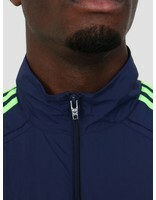 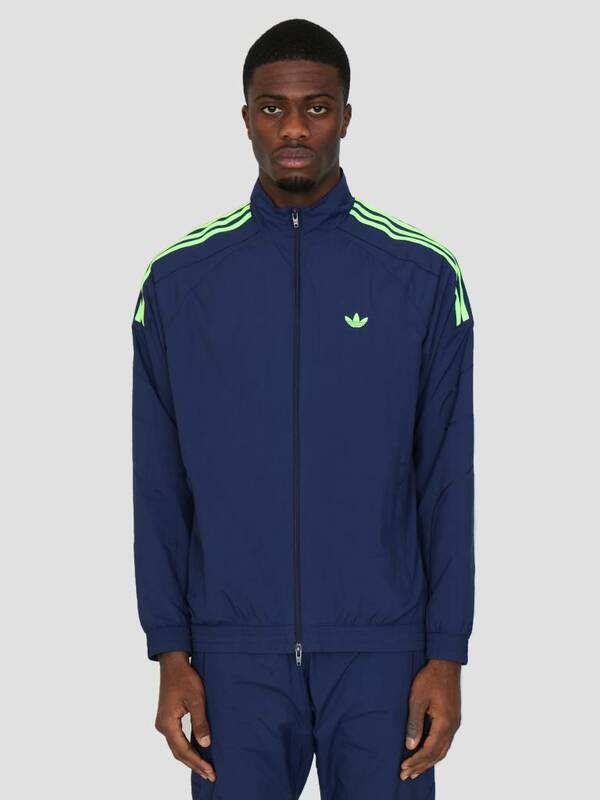 The adidas Flamestrk Wv Track Top Dkblue. 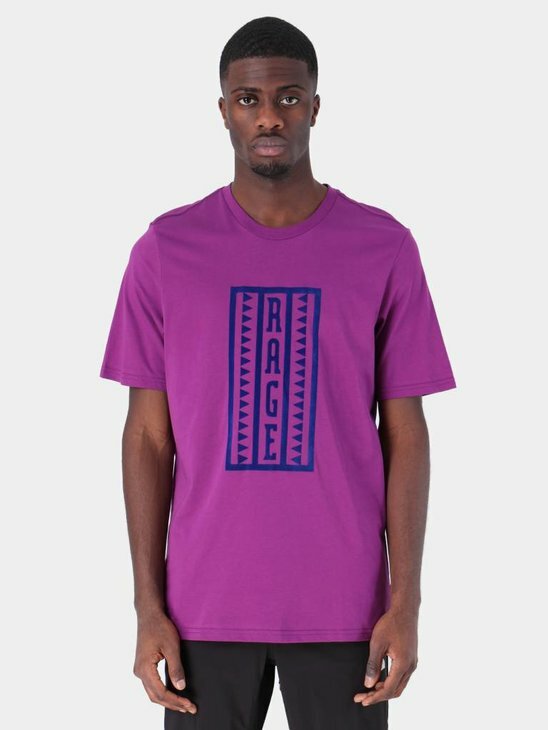 This top has matching pants. 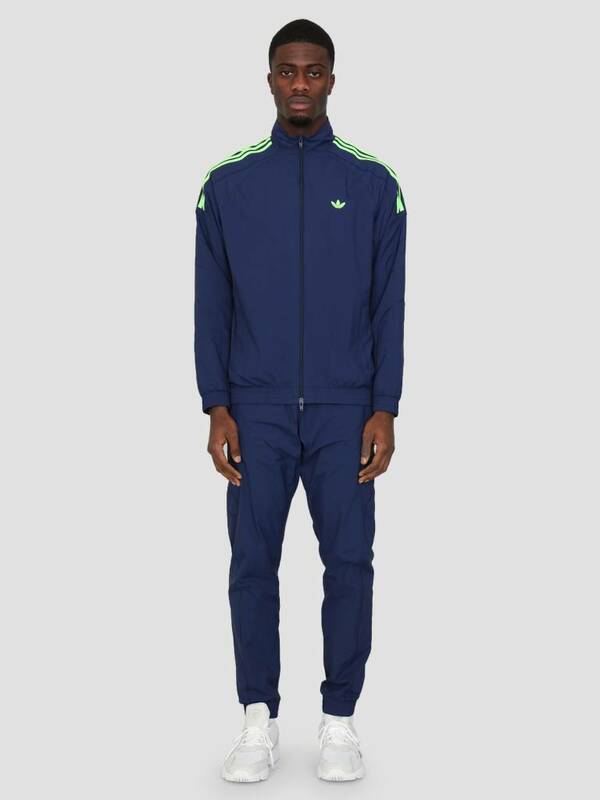 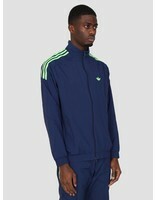 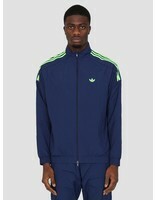 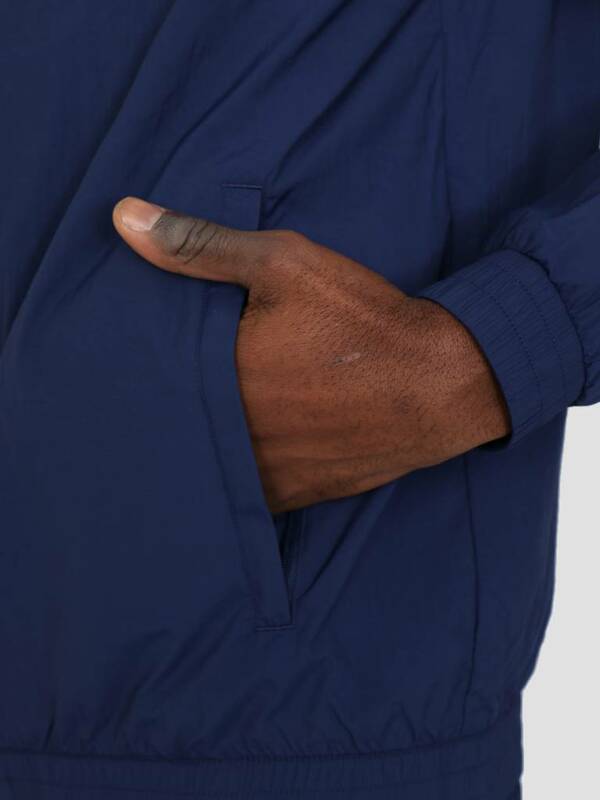 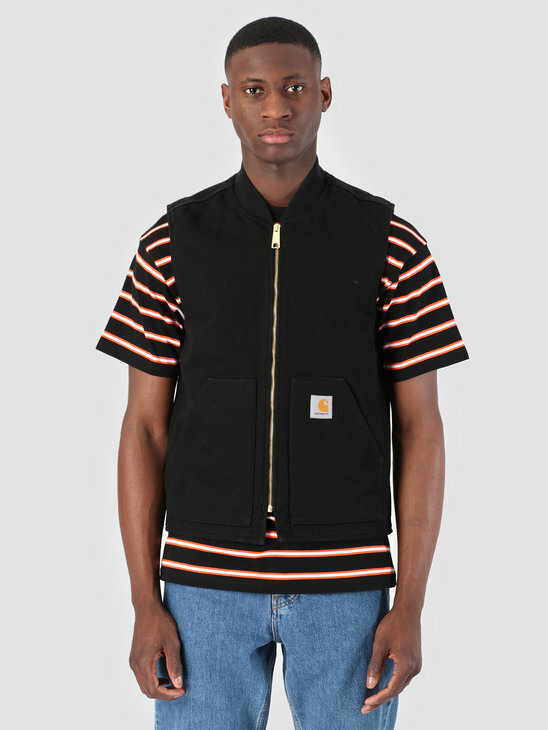 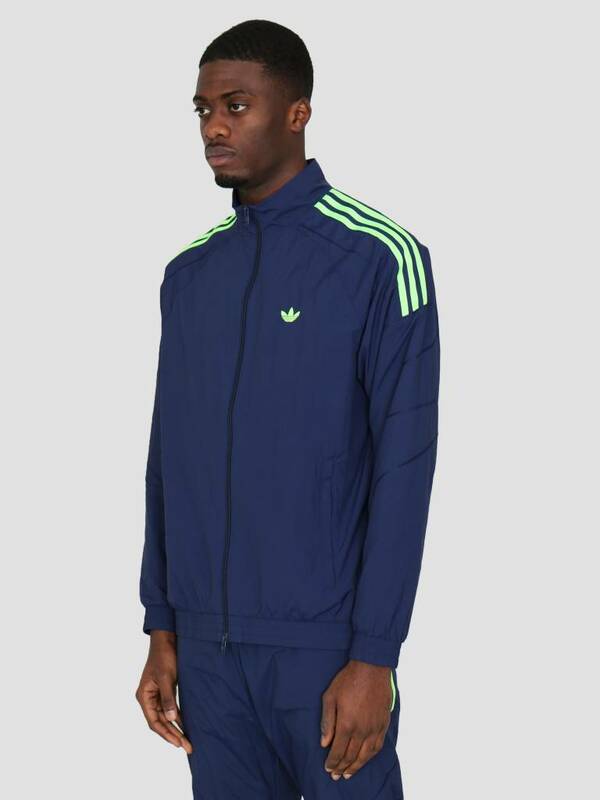 This tracksuit is inspired by the soccer gear from the late 90's. 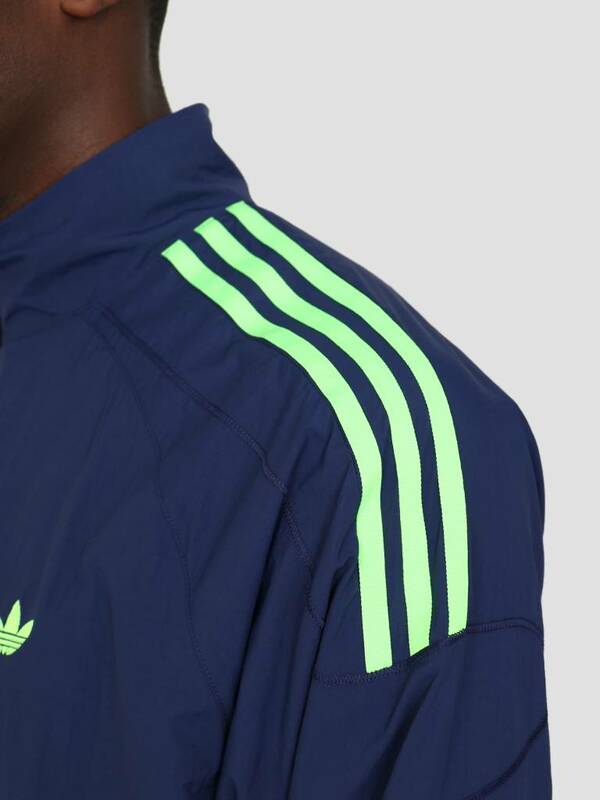 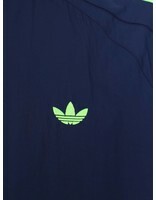 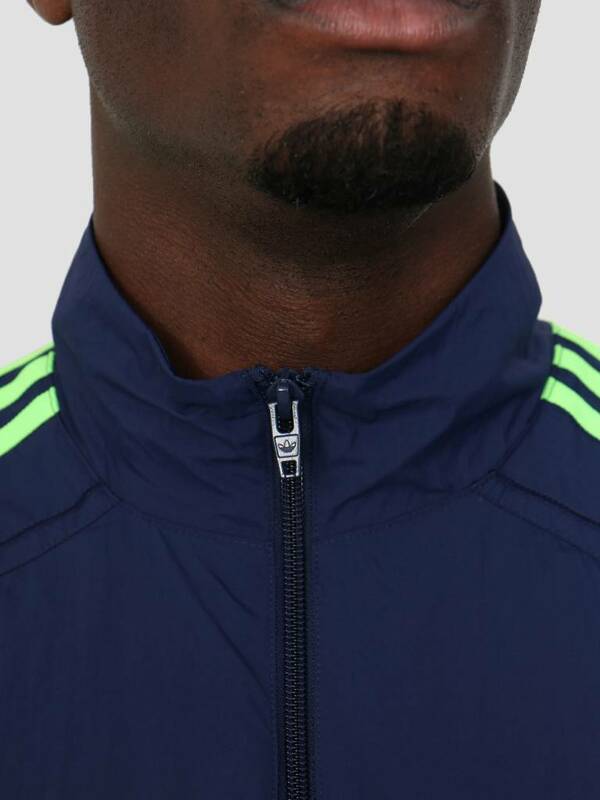 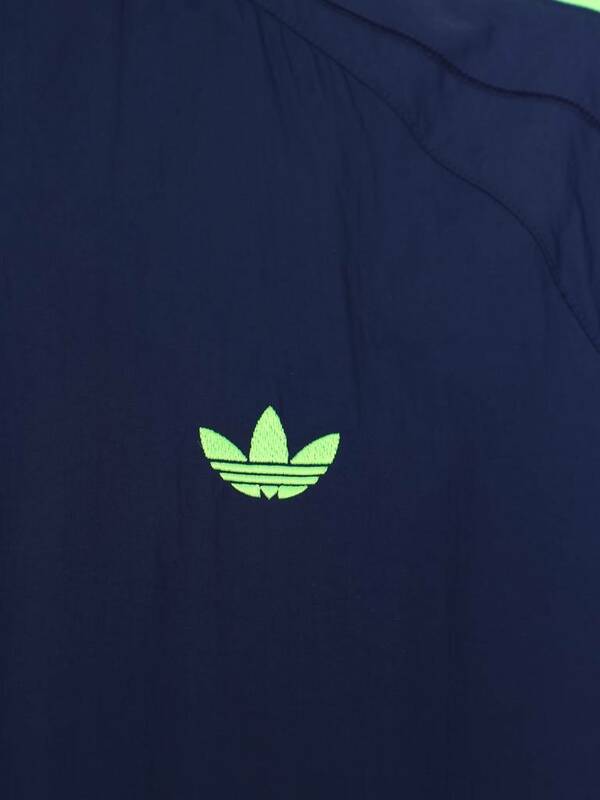 On the top are the well known stripes from adidas in green and an adidas logo on the chest. 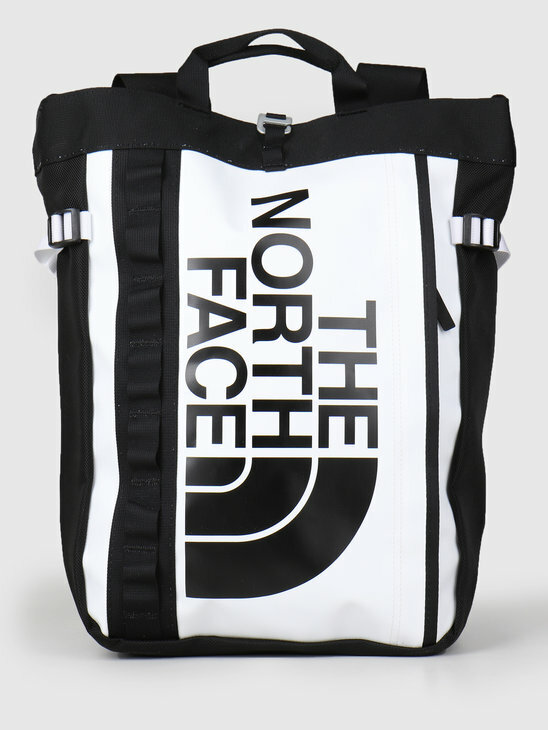 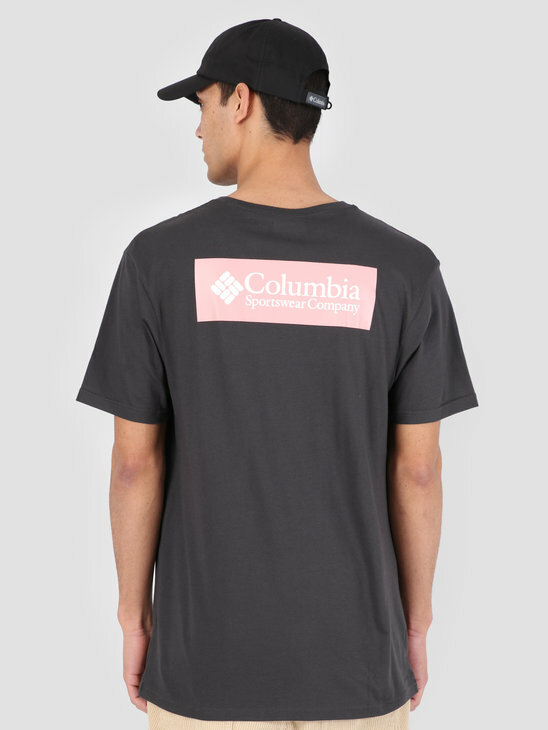 It is made of polyester mesh.